This is a guest post from scholarship recipient, Bethany McGowan, a member of the Design for Learning program, who attended the 2016 International Federation of Library Associations (IFLA) Women, Information, and Libraries SIG UnConference: Women & Library Technology – Empowering Women’s Participation in Open Technology & Culture at Northwestern University in Chicago. On August 11 I attended the 2016 International Federation of Library Associations (IFLA) Women, Information, and Libraries SIG UnConference: Women & Library Technology – Empowering Women’s Participation in Open Technology & Culture at Northwestern University in Chicago. My attendance was funded by a Design for Learning (D4L) Scholarship. 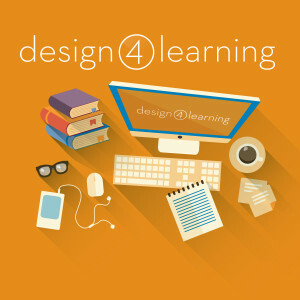 The D4L program is hosted by the iSchool at Syracuse University and funded by the Institute of Museum and Library Services to teach librarians to design instruction and teach online. I’m a member of Cohort 1 and was thrilled to have the opportunity to supplement my learning with a conference attendance. As a scholarship recipient, I’m required to post a public summary of my experience and what I learned, so here goes! I decided to attend the IFLA Women and Library Technology Unconference for a couple of reasons. As an IFLA satellite conference, it complimented my role as an IFLA IMLS Fellow by allowing me to see and be a part of the Women, Information, and Libraries Special Interest Group–the Unconference is the group’s annual capstone event. I’m interested in a global perspective of how information science and library services can be used to inform and empower women, and the unconference was a great platform to meet other women already engaged in that type of work. The day-long conference was small, with about 50 participants, and allowed for a more intimate experience before the larger IFLA main conference, which was the following week. I met librarians from Ghana, Jamaica, Belize, Tokyo, and France doing interesting work and who I see as potential collaborators. My research into the role of feminist theory and critical theory in library and information science is still in its formative stage, so it was important for me to also meet local librarians already engaged and well versed in those topics. The unconference approach was a good fit because it allowed flexibility in deciding which topics would be discussed and provided a feel for trending topics, even if those topics didn’t get enough votes to be selected for further discussion. And, with the Chicago location, I met other librarians who work within my region of the Midwest. The UN Sustainable Development Goals offer librarians a foundation (including financial support) for building global initiatives and interventions. Most of the presentations by international librarians were part of a UN project. Works by bell hooks, Paulo Freire, and Emily Drabinski help clarify the potential role of Critical Theory in Library and Information Science. Resources and support for librarians interested in international research and travel are available. The Council for the International Exchange of Scholars offers the Senior Fulbright Scholars Program, and a list of other opportunities are available from ALA. The conference helped clarify my thoughts on the role of information design and visual communication in behavior change communication and health sciences librarianship. Before the conference, I knew I wanted my future work to center around information design theory and critical library instruction, but I wasn’t quite sure what that might mean on a global scale. I’ve been able to transition that thought into how designing for information-rich environments helps to accommodate for learner diversity. I want to establish global partnerships with other information professionals and continue the conversation, so I renewed my membership with the American Library Associaton and accepted a three-year appointment to the International Relations Committee: the Americas subcommittee which includes North America, South America, Latin and Central America, and the Caribbean. I’ve been a member of the Medical Library Association (MLA) since library school, and I’m newly interested in how to leverage that membership to support a more global exchange.